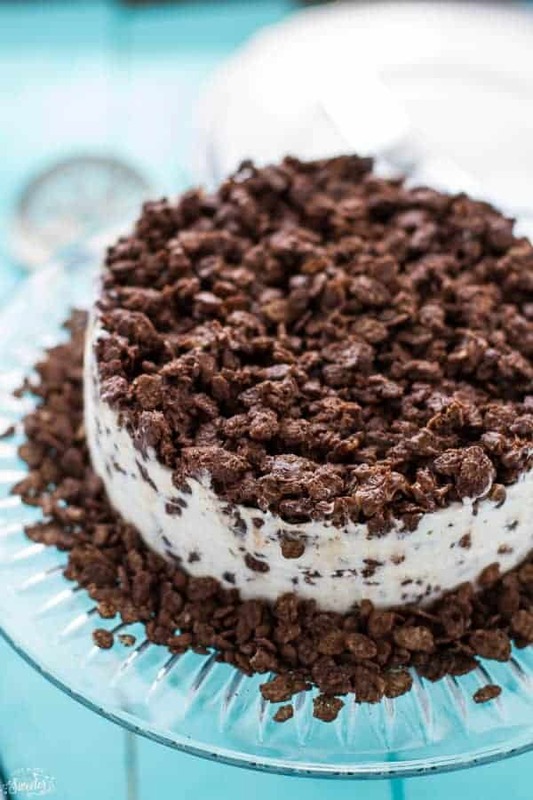 Mocha Coffee Crunch Ice Cream Cake is the perfect no bake dessert for summer. It’s an easy 4 ingredient dessert made with a no churn coffee ice cream, melted chocolate, coffee, and chocolate rice cereal. 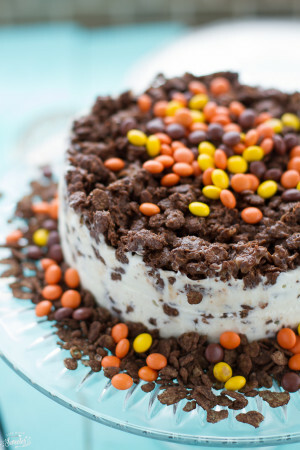 Ice cream cakes are one of my favorite desserts to make. 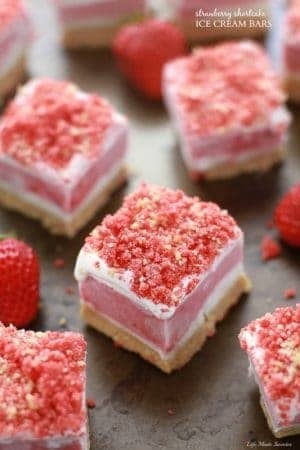 They are seriously so easy to put together and you can customize them with so many different flavor combinations. 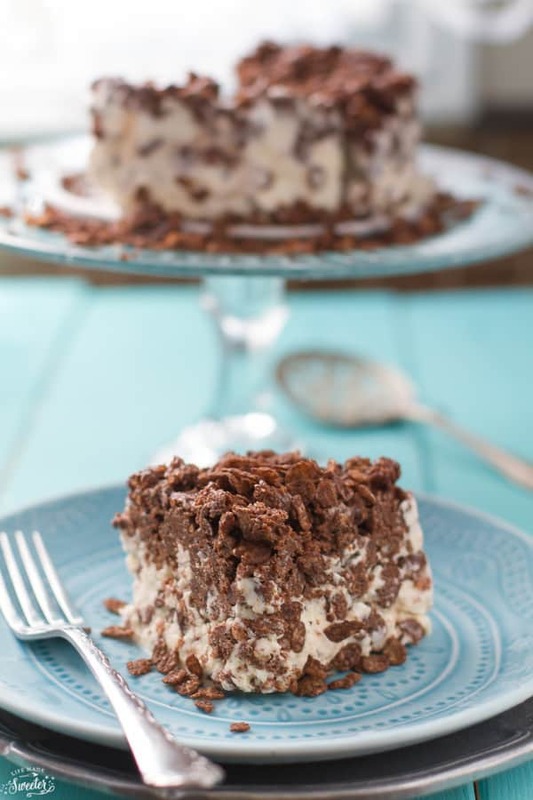 I’ve seen a few different versions of an ice cream crunch cake floating around Pinterest like this Nutella Crunch Ice Cream Cake from A Family Feast and have been wanting to try it for a while. 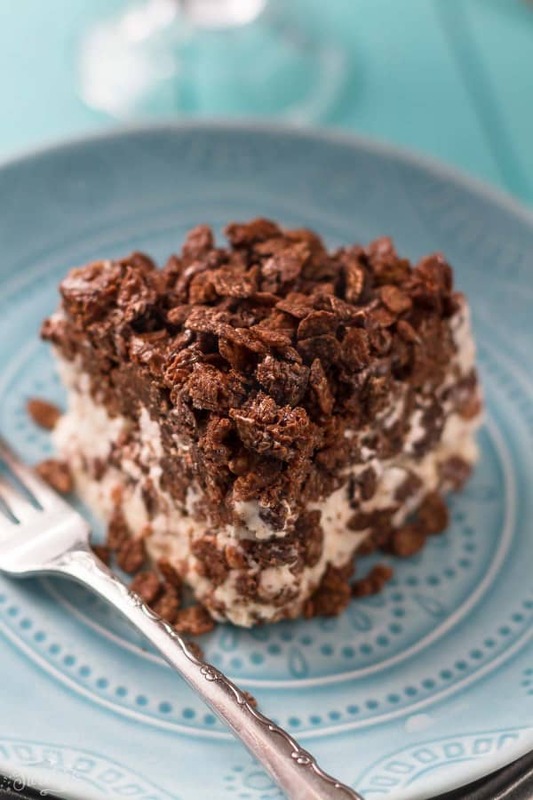 This No Bake Mocha Coffee Crunch Ice Cream Cake is a slight variation and it was such a hit with my family. 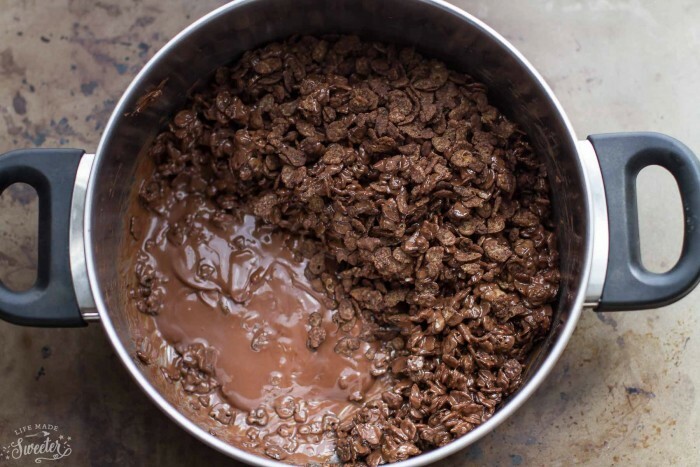 It starts off with my favorite no churn vanilla ice cream, instant coffee, a crispy chocolaty rice cereal like Cocoa Rice Krispies, Cap’N’Crunch or Cocoa Pebbles and melted chocolate. You can also use regular crispy rice cereal instead if you can’t find the chocolaty versions. We simply combine the cereal with melted chocolate and instant coffee and toss it in the freezer to firm up. Then let the vanilla ice cream soften on the counter until it is nice and melty then we stir in some of the reserved instant coffee along with the chocolate coffee coated cereal. The mixture gets spread evenly into a springform pan then we top it off with some more of the coated cereal mixture. Then we pop it into the freezer for at least 4 hours or overnight so that it can set up. 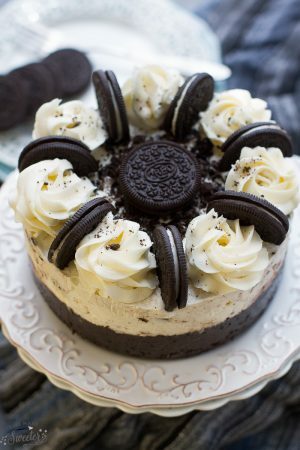 It was seriously the easiest cake that I’ve ever made and you only need 4 ingredients! 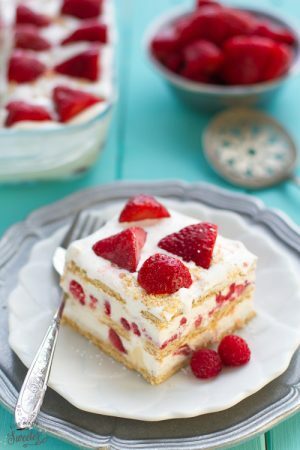 A delightful and rich tasting cake that’s s simple to make and perfect for sharing with a crowd! Combine boiling water with instant coffee. Set aside. On the stove-top or in the microwave in a heat-safe bowl in 30 second increments; melt semi-sweet chocolate until smooth. Immediately whisk half of the coffee mixture. Add the rice cereal to a large bowl and pour melted chocolate over and stir to coat. Mix the softened ice cream with the remaining coffee. Then stir in the 1 1/2 cups of coated cereal. Place on your favorite serving plate and top with more cereal if desired.